The Road to Financial Freedom has a lots of trials and tribulation. We Filipinos need the financial literacy to make us grow from nothing to something which will be beneficial and sustaining not only for ourselves but for our country as well. CRB Benedict Baluyut, is a certified real estate professional with PRC Licensed Real Estate Broker and Real Estate Appraiser and a regular member of Registered Financial Planner - Philippines. 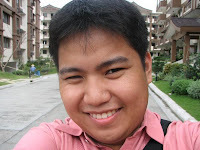 He is based in the City of San Fernando, Pampanga and had been an active real estate broker since 2007 after passing the Real Estate Brokers' Licensure Examination given by the Department of Trade and Industry last November 2006 and the Registered Financial Planner Case Exam in 2010. Other things interest him is football / soccer playing for a community based football club in his hometown called Futboleros United Football Club.